Is your company experiencing problems with abrasive materials wearing out your bends??? If the answer to this is yes, then you really need to get in touch to discuss our Anti-Wear Bends. Made from 316 Stainless Steel, the innovative design enables material to flow quickly at 90 degrees without the constant need to replace worn bends due to the abrasive nature of some materials. This saves time and money on expensive downtime and maintenance. 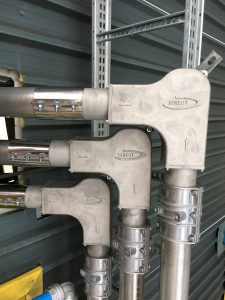 The Direct Anti-Wear bends have proven to be a cost effective addition and long term solution to our customers material conveying systems and silo tanker filling lines. Now over two years later they are still showing no signs of needing any replacements. 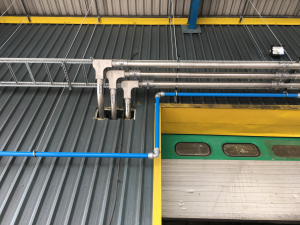 In this period with the standard stainless steel bends they would have replaced 13 bends, not to mention the time taken by their maintenance engineers or an external pipefitter to replace the bend, downtime, and the cost of access equipment.